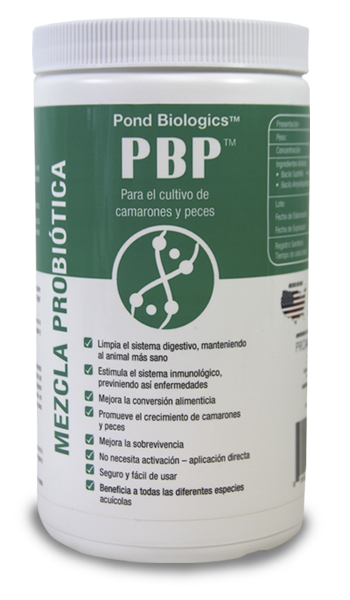 Pond Biologics® Probiotic Blend PBP™ is a custom blend of beneficial microorganism for use in intensive aquaculture operations. Pond Biologics® Probiotic Bacteria promotes healthier digestion and immune system response for healthier animals. 2 – 5 grams per Kilogram of feed.